Steven A. Howell, age 60, died on Sunday November 18, 2018 at the Haven Hospice at JFK Medical Center. Born in Elizabeth, to George and Alida Howell, Mr. Howell was raised in Avenel and most recently resided in Edison. Mr. Howell worked as a service worker for Merck & Co of Rahway for 25 years. 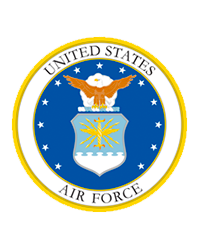 He honorably served in the US Air Force from 1976-1977. Mr. Howell proudly worked as an EMT in Sayreville, Morganville, and at Merck & Co.
Beloved husband for 15 years of Theresa A. VanBeesel-Howell; he is also survived by his 3 daughters, Veronica Howell, Theresa Aranda, and Kristen Amsterdam; 3 siblings Robin McHale, Glen Howell, and Christina Howell; 2 grandchildren, Isabella Hernandez and Jazmina Aranda. Mr. Howell was an avid reader, he loved playing cards, enjoyed his rock music, and was a devout Mets and Jets fan.